The word ‘Yoga’ is derived from ‘YUJIR’ which means unite, to bind or yoke. Yoga unites mind, body and spirit in a unique way. Apart from giving strength and flexibility to muscles and joints, it improves breathing, concentration and memory of a person. It has eight fold path for all round development of human personality and means for achieving ideal health, i.e. Yama, Niyama, Asana, Pranayama, Pratyahar, Dharana, Dhyana and Samadhi which are based on deep psychological understanding of human personality. Yoga and meditation pave ways for increasing the power of concentration, mental purity and steadiness along with reducing the stress in one’s life. When practiced with faith, perverseness and insight, it rejuvenates the body parts by ensuring proper oxygenation and blood supply, kindles up the appetite, bestows control over senses and mind and imparts increased vitality, vigor and longevity of a person. Yoga is a science as well as art of living for all people who have a desire for success and leading a meaningful healthy life. Asanas help us in culturing the whole body by focusing on the different muscle, tendons, ligaments joints and the soft tissues, apart from the blood vessels and nerves. Asanas also improves co-ordination of mind with body as during yoga we have focus on breathing along with total awareness to each and every body movement. Pranayam is a set of Asanas designed for improving the breathing of a person. During inhalation and exhalation care is taken to expand the lungs and relax the muscles assisting breathing and thereby improving the lung capacity. It helps to provide the fresh oxygen to all the part of the body and improving the blood circulation and inner strength of the body. It is a continuous and guided method of focusing our mind on an object, sound or thought. It helps us to attain a state of mind where person forgets one’s physical self and focuses his entire energy on the object of meditation which helps him to attain a blissful state and reach his innermost potential. Chakra Meditation – In it, we focus on the characteristics and functions of 7 chakras running through the Sushuma Nadi. We energise these chakras and dissipate their energies to the systems. Om Meditation – During it, we focus our mind on the positive energy word “OM”,the first sound that evolved in this universe, thereby building positivity within us and in our surrounding. 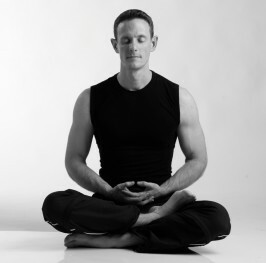 Breath Meditation – As part of this, we use simple procedures to focus entirely on our breath without interfering with it. We concentrate on the effects of breathing – its subtleness and the changes it brings about in our body and mind. Yoga Nidra is a relaxation and restoration technique which helps to attain the lightness and reshness in our body and mind. It is also called as “Yogic Sleep” because by this technique, one attains the benefits of sleep without actually falling asleep. During it, our mind and body attains a state which is similar to sleep through continuous suggestions and focus. At Kratin Wellness Clinic, therapeutic yoga is taught by the yogic guru on one to one basis.